L'arrivee tant attendue de la collection de Jimmy Choo pour H&M se rapproche ! Le 14 novembre, ce samedi, certains chanceux pourront mettre la main sur une panoplie d'articles concus par le designer pour le geant mode H&M. Cette collection comprend des articles super fashion pour femmes et pour hommes. Robes chic et trendy, gilet en fourrure, cuissardes et ballerines cloutees, sacs en cuir et imprimes animaux, bottes de motards, il y en a pour tout les gouts ! Bonne chance ! Laissez-moi en commentaires les articles que vous avez reussis a acheter ! 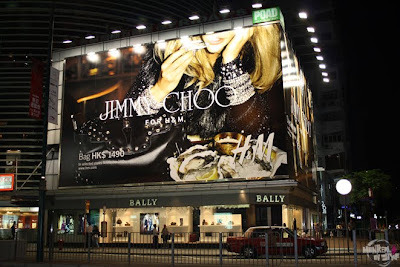 The long awaited arrival of the Jimmy Choo collection for H&M is coming ! On November 14, this Saturday, some lucky customers will be able to get their hands on a huge range of articles created by the designer for the fashion giant. This collection has items for both women and men ! Chic and trendy dresses, fur vest, thigh-high boots and studded flats, leather and animal prints bags, motorcycle boots, there is something for everyone ! Good luck ! Let me know what you bought in comments ! I wish they'd priced down the day-to-day Jimmy Choo styles too! According to the company, only the 'club' shoes were made for H&M. But people need class and quality for daylight more than anything! Hong Kong : more Boots ! Hong Kong : Boots !